WATCH What is Cave disease? As the rescue efforts for the 12 boys and their coach trapped in a flooded Thailand cave have continued, the world has been hoping for the entire group's safe return to the surface. But after surviving the weather conditions, severe body stresses and unimaginable emotional distress of being trapped for days in dark, wet caverns, the 13 have more challenges ahead. All that time inside the caverns has exposed them to a dangerous and rare infection, often called "cave disease." Officials said Tuesday morning local time at a press conference that at least two of the first four boys rescued are suffering from lung infections based on blood tests, and all of them likely are infected though their tests are pending. However, none of them have a fever. 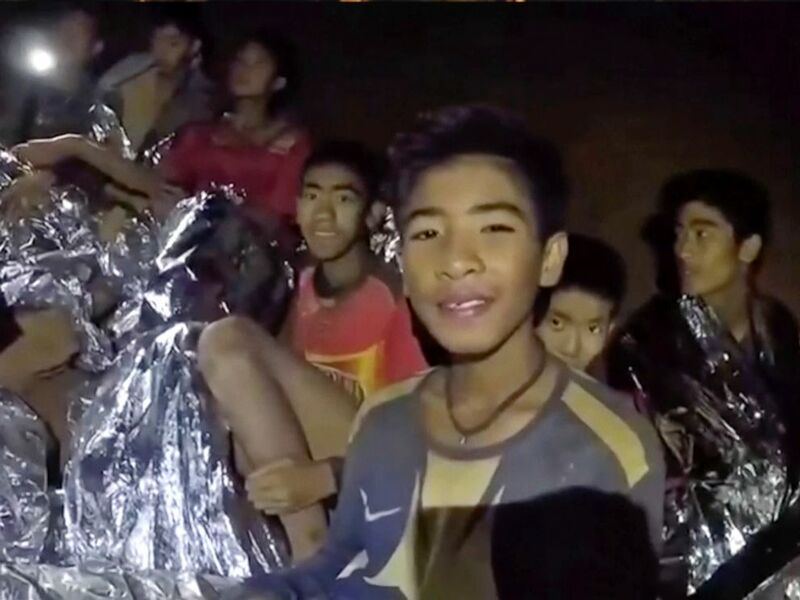 In this July 3, 2018, image taken from video provided by the Royal Thai Navy Facebook Page, Thai boys smile as Thai Navy Seal medic help injured children inside a cave in Mae Sai, northern Thailand. Cave disease, also called speleonosis, is an infection with a fungus called Histoplasma capsulatum. It was first described in the 1940s as an “unusual” lung disease affecting a group of men camping in an abandoned storm cellar. The fungus is naturally found all over the world, thriving in settings ranging from the caves of Asia to the fertile riverbanks of the Mississippi River, according to the U.S. Centers for Disease Control and Prevention. It grows in soil, aided by nutrients it gets from bat and bird droppings. Although Histoplasmosis is found in the environment, a person has to be tested to determine if they have the disease. Urine, lung, other tissue and blood samples can help detect the disease and X-rays or CT scans may also be needed. In additional to physical exams, medical professionals will ask about personal health, travel history, including any time spent in caves, and symptoms. 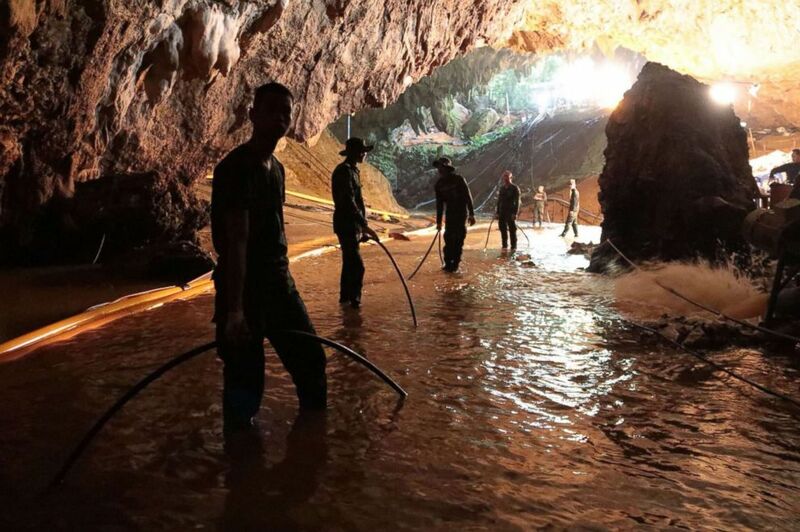 Thai Navy soldiers in the flooded Tham Luang cave during rescue operations for the 12 boys and their football team coach trapped in the cave at Khun Nam Nang Non Forest Park in the Mae Sai district of Chiang Rai province. Anything that disturbs the ground like digging, or even just walking, can spread the fungus and the disease, according to the CDC. The fungus becomes airborne through its spores, which are so small they are undetectable to the human eye. It can then contaminate the air and enter the lungs of unassuming visitors. Caves are known to be special breeding grounds for Histoplasmosis, with unique environments that can provide an ideal home for the fungus. With more than two million people each year exploring caves, or spelunking, it is becoming an increasingly common cause of infection. Although the disease is transmitted via the air, it is not contagious from person to person. Some pets, like dogs and cats, can also become infected. Detecting cave disease can be difficult and depends on many factors, including a person's baseline health and how much exposure he or she had to the fungus. A healthy person who’s been exposed may show no signs or symptoms at all. Though most people exposed to Histoplasmosis don't get sick, those who do may look like they just have the flu with symptoms including fever, cough, extreme tiredness, chills, headache, body aches or chest pain. These symptoms usually appear between three and 17 days after a person breathes in the fungus. A person with a weaker immune system, such as someone with uncontrolled HIV or undergoing cancer treatment, may develop more severe symptoms, such as confusion, as the disease spreads from the lungs to other parts of the body like the brain. Severe infections can cause death. 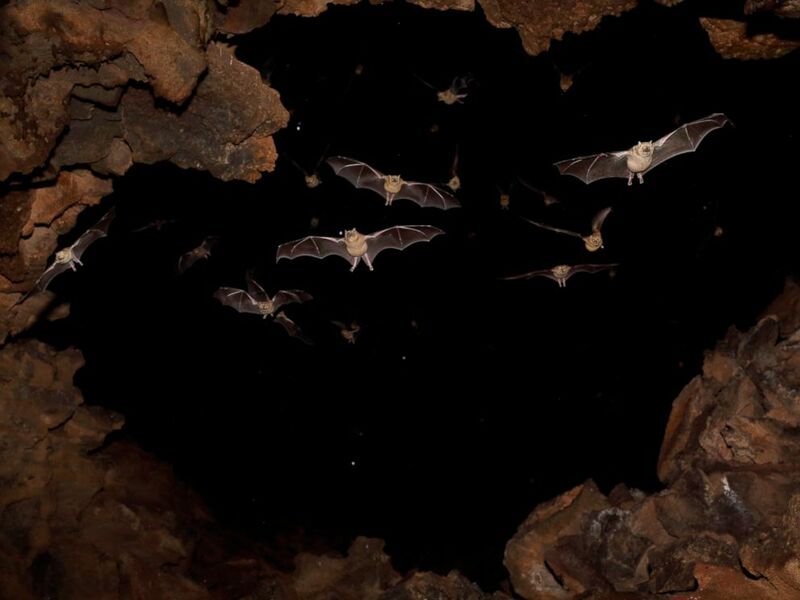 Bats are pictured flying in a cave in this undated stock photo. Cave disease resolves itself over time, without medication, for most people. However, for more severe symptoms or those with weaker immune systems, some antifungal medications may be required to treat the infection. Treatment can range from three months to one year. Because the fungus is commonly found in many areas, it can be hard to avoid breathing in the spores. One way to decrease the risk is to avoid disturbing any surfaces with bird or bat droppings. Anyone who chooses to explore caves can contact local cavers and public health departments to determine which caves are at higher risk for Histoplasmosis and consider wearing specialized dust-mist masks to minimize inhaling spores. People with weakened immune systems should avoid cave exploring, which is considered a high-risk activity for them. Petrina Craine is an emergency medicine resident physician in Oakland, California working in the ABC News Medical Unit.